The first thing that people notice when they drive by a home, or a business, is the lawn. A well maintained lawn that helps draw the eye can be a factor that helps a business bring in new clients. Not only helping people notice your business, but showing them that you care about how you are presented to the rest of the world. If you want a beautiful lawn that looks like it’s being taken care of by professionals, then you need to go with a full service professional landscaping service. A company that cares about water conservation, landscape design, and offers you not only design installation, but also design maintenance. When it comes to your lawn care and irrigation system maintenance, you need more than just any landscaping company, what you need is the complete package in lawn care that you will find with Oasis. Make sure that your lawn, and all of your plants are being cared for properly, and that they are receiving the correct amounts of water. You can’t trust just anyone with a lawn service. You need a full service landscape and irrigation company. Having a residential, or commercial property that you can be proud of is the ultimate goal when it comes to landscaping design. At Oasis we can help you create, and reach your design goals. Design installation and maintenance is easy when you choose Oasis. Your irrigation system, better known as your sprinkler system, needs are combined with the design of your landscape. 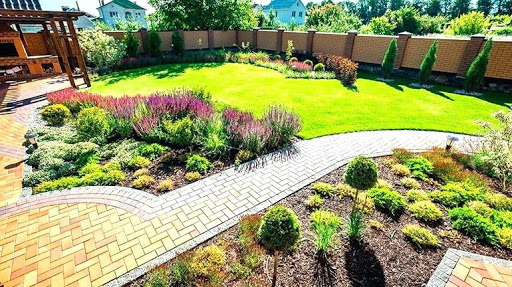 Whether you are looking to install a retaining wall, or keep all of your landscaping needs on the ground level, Oasis can help you decide and form a plan to keep your design easily maintained, meeting all of your water conservation priorities, as well as water supply needs. Irrigation designs don’t need to be complicated when you have a company that knows how to fulfill, and meet all of your irrigation system designs and needs. With lifetime warranties on our best in business Rain Bird sprinkler systems, the superior property maintenance, and our fertilization services, Oasis is the best, and only, option when it comes to an irrigation and landscaping company. Our business has been around for nearly thirty years, helping to beautify, and conserve residential and commercial properties in areas near you. Irrigation system installation is just one of the many aspects in our landscaping services, and we are ready to bring that service to you. Lawn and landscaping are two different terms in this business, let us do more than maintain your lawn, let us take care of your landscape. If you’re in need of a work quote or an estimate, please visit our Work Request page.